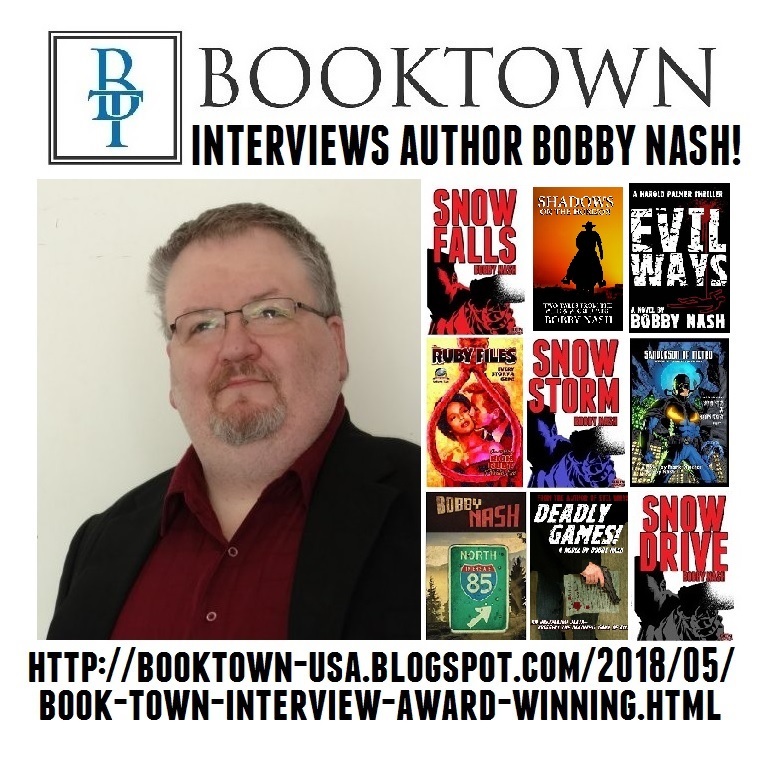 BOBBY NASH INTERVIEWED ON BOOK TOWN'S BLOG! Book Town's Larry Johnson Interviews Award-Winning Novelist Bobby Nash. Read the complete interview HERE! 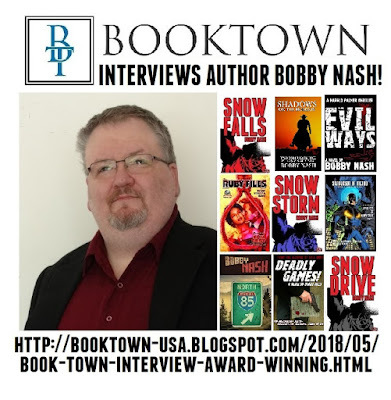 NEW BOBBY NASH AUTHOR INTERVIEW AT BOOKTOWN USA! 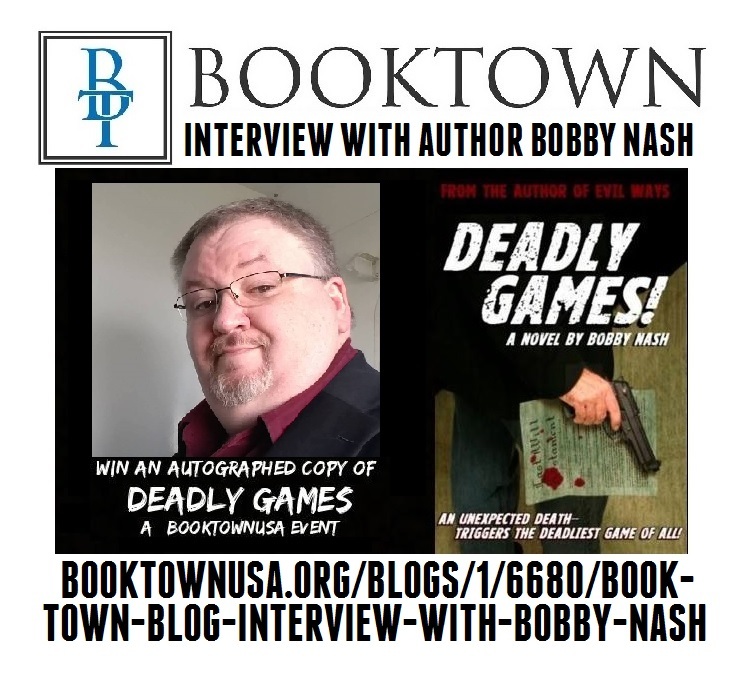 Book Town Blog's Lauren Johnson interviewed author Bobby Nash. You can read the full interview HERE! Don't forget, Bobby's novel, Deadly Games! is Booktown's Book of the Month. Register to win a free autographed copy HERE! 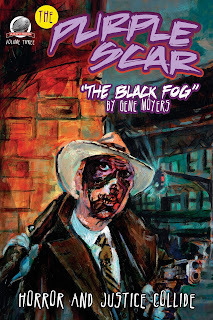 Airship 27 Productions is proud to present the very first full length Purple Scar novel written by New Pulp author, Gene Moyers. A hooded man suddenly appears on the streets of Akelton carrying a strange device strapped to his back. Affixed to it is a nozzle from which enveloping black fog spews forth quickly swallowing everything in its path; to include men, women in children. And just like that the city is thrown into panic as the mysterious villain begins popping up all over the city wielding his eerie weapon. Realizing he is facing a supernatural threat, Captain Dan Griffin enlists the aid of the city’s own gruesome crime fighter, the Purple Scar. Secretly plastic surgeon Doctor Miles Murdoch, the Scar, with the aid of his nurse Dale Jordan and ally Tommy Pedlar, is quickly on the hunt for the mastermind behind the fog of terror. For in the first time in his vigilante career, the Purple Scar is battling an evil scientific genius whose purposes can only herald doom and bloodshed. It is a battle he cannot afford to lose. Joining Moyers on the project were two amazing artists. 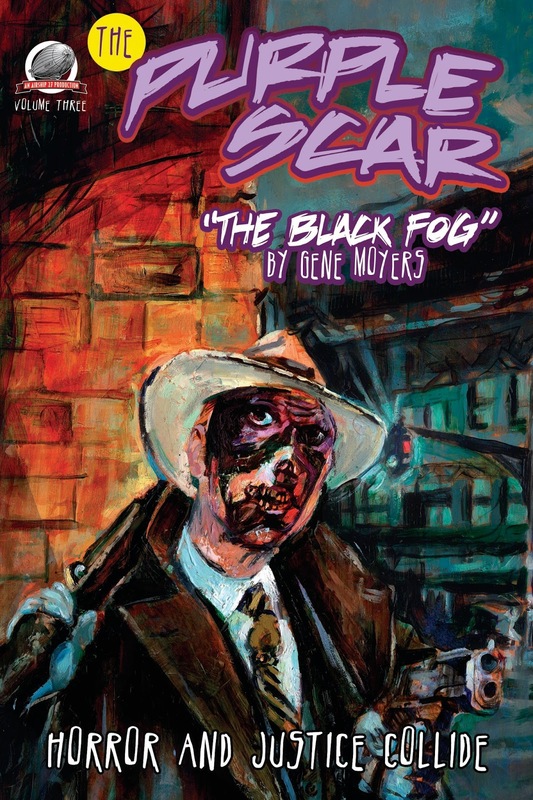 Former Pulp Factory Award winner Chris Kohler provided the 9 black and white interior illustrations while British painter Graham Hill the eerie colorful cover depicting the gruesome Scar. Art Director Rob Davis brought it all together to produce one of Airship 27 Productions’ most spectacular titles. If you think you know the Purple Scar, think again. Airship 27 Productions once again sets sails with author Nancy Hansen in the next thrilling chapter featuring Jezebel Johnston, Pirate Queen. With Emile Gagnon’s Sea Witch laid up in the French port of Fort Royale for minor repairs, Jezebel Johnston and young Zachary Spencer go into town to trade with the local merchants. While there, they come to the attention of an unscrupulous smuggler named Luc Charbonneau who cleverly manipulates them into being blamed for thievery committed by his own gang. But before he can rally an impromptu lynch party, they are rescued by Captain Ancel Thibodeaux, the real authority on the small West Antilles island. Thibodeaux is fascinated by the beautiful Jezebel and pressures her and Zachary into joining the crew of his own pirate ship, Mourning Star. Having no other recourse, the two agree and the wily French buccaneer sets about tutoring the lovely mulatto into being part of his elaborate scheme to sail across the Atlantic and raid the rich Barbary Coast. 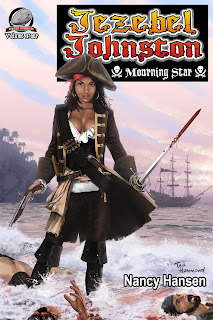 Once again writer Nancy Hansen unfurls the sails of her imagination in this, the fourth chapter in the saga of Jezebel Johnston as she navigates the dangerous waters of rogues, brigands and scalawags on her way to becoming the greatest pirate of them all! The book features 12 black and white interior illustrations by Art Director Rob Davis and a gorgeous cover painting by Ted Hammond. Available now in paperback and soon on Kindle.